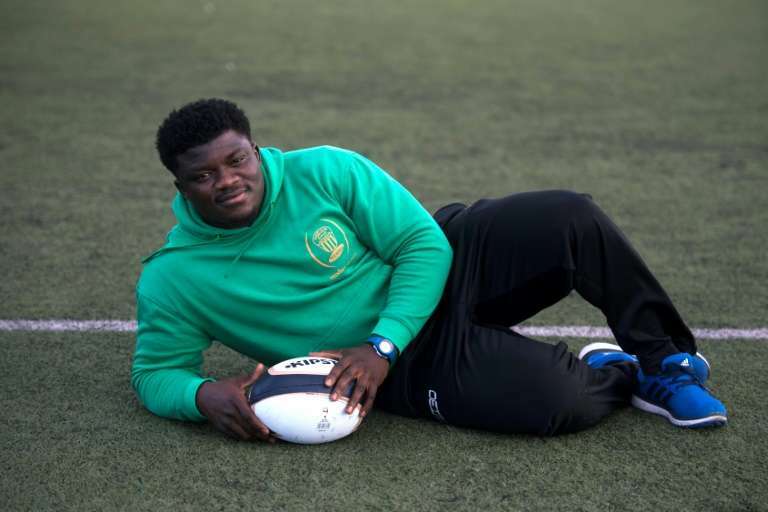 Karim and Yves trekked for years through Africa from Cameroon before arriving in Spain where they now play football and rugby, realising a life-long ambition even if their daily lives are still a struggle. They’re not the only ones to have stepped onto Spanish shores with dreams of making it big in the sporting world. 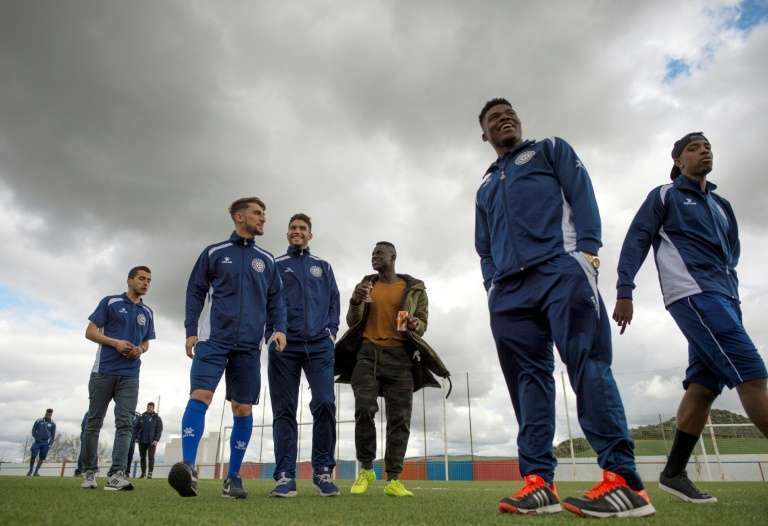 Associations and migrants say roughly a quarter of new arrivals’ main reason for coming is to play professionally. But a large majority are soon brought back down to earth with a bang when faced with the long search for residency papers while eking out a living. Karim Issa Abdou and Yves Kepse Tchonang are arguably among the lucky ones. While their lives are totally separate, they share many similarities. Both 27 years old, they clambered over the barbed wire and razor-sharp blades of the triple barrier between Morocco and Spain’s overseas territory of Melilla, one of only two land borders between Africa and the European Union. 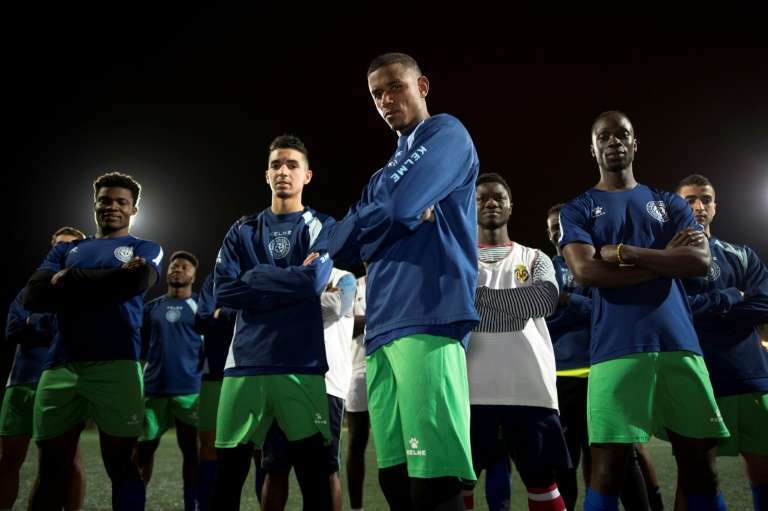 Karim now plays for Alma de Africa (“Heart and Soul of Africa” in English), a football team in southern Jerez de la Frontera composed almost exclusively of migrants in the second division of the regional league. 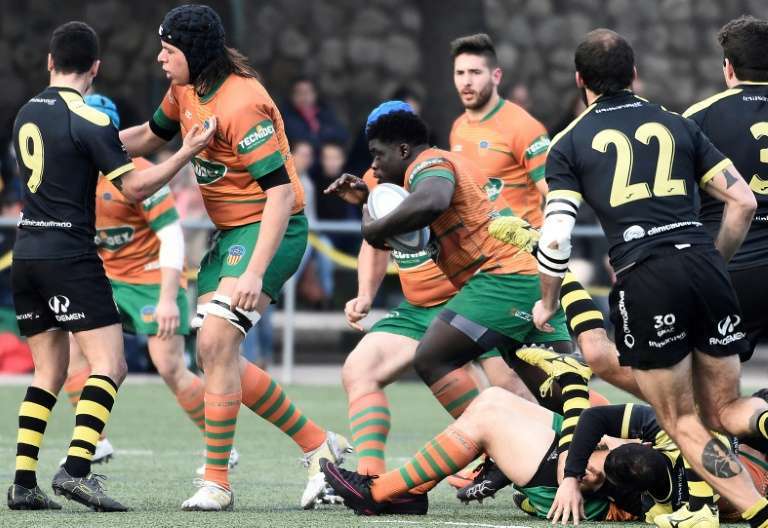 Yves plays at front row at Rugby Club Valencia more than 700 kilometres (450 miles) away in eastern Spain, in the first division of the regional league. While they’re not professional, which means they aren’t paid for playing, both are surrounded by associations that can provide legal and housing support. Crucially, being part of a team has given meaning to otherwise difficult lives, they say. “Alma de Africa has given me stability,” says Karim, sipping a beer at a bar in Jerez, large headphones round his neck ready to play music like Cameroon’s makossa or rap by France’s Booba. A self-confessed brawler when the team was formed in 2015, he says he has since settled down. Born in a nomadic family in Ngaoundere in northern Cameroon, Karim says he left when he was only around 10 years old with a friend. It took him some four years to go through Nigeria, Niger and Algeria before arriving in Morocco, where he lived another three years in the Gourougou Mountain that overlooks Melilla. Along the way, the Zinedine Zidane fan earned money to keep going, doing odd jobs, just like Yves, who cuts an imposing, brawny figure. In Niger, he recalls many instances of employers refusing to pay him and threatening to call the police. Both recount being robbed of their possessions along the way, as do other Alma de Africa members. “When you’re a kid, there are people who take your phone, everything you have, the rucksack, the clothes, the money, and you have to start afresh,” says Karim, a contagious laugh always at the ready despite difficult recollections. Karim finally managed to get into Melilla in 2008. He says he was wearing five trousers and had wrapped his hands with old clothes to protect himself from the blades, but his leg still caught one, leaving him with a bleeding gash that saw him admitted to hospital on the other side. Others did not make it that far, recalls Christian Tchikagoua, another teammate. He left Cameroon with his best friend, who later drowned in the water trying to get to Ceuta, another overseas Spanish territory, he says. His friend joins hundreds of migrants who have died trying to get to Spain, the third busiest gateway for migrants coming to Europe, with more than 28,000 arrivals in 2017, according to the International Organization for Migration. Once in Spanish territory, the hunt for a residency permit begins, with the constant fear of being deported. “They’re ghosts, they have a very rough time, with a lot of fear,” says Alejandro Benitez, president of Alma de Africa who co-founded the team. Yves, though, is lucky. He got his residency permit last August, thanks to his team which gave him a job as receptionist and electrician, earning 850 euros ($1,050) a month. Karim is still waiting, and survives on odd jobs like gardening or washing cars. A tough daily existence he says has been bettered by his football team, and his recent marriage to his Spanish girlfriend of two years. “If I had known the life I would lead until now, I wouldn’t have come,” admits Karim — an acknowledgement echoed by Yves. Both Yves and Karim would like to be paid as professionals. “The dream is to live off this, even if it’s earning just 1,000 euros a month,” says Karim. But it’s tough. Alma de Africa, for instance, is struggling financially, living as it does off donations, memberships and sponsorships. “With this we struggle by, as we need a lot of money in this category,” says Benitez, whose team has risen in the league every year since 2015. He encourages his players to train in other areas and hunt for jobs. Still, vaunting the merits of sport as an integrator, Benitez has the ambition to create the first sports-focused migrant shelter which would give them professional training in the sector. “It’s a very ambitious and very costly project, but it would be amazing,” he says.